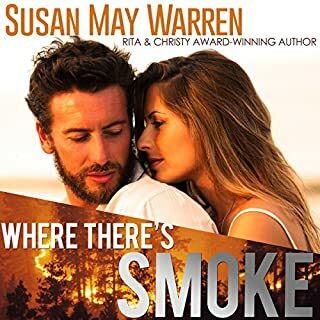 When Deputy Sam Brooks commits to something, nothing can sway him - not just on the job as liaison between the Mercy Falls sheriff's department and PEAK Rescue but in his private life. He's the one who stuck around to take care of his mother after his father's accidental death. And he's the one - perhaps the only one - who believes Sierra Rose is the perfect girl for him. Safe, practical, and organized, she's nothing like her hippie, impulsive, bleeding heart sister, Willow. Willow, however, has been in love with Sam Brooks for as long as she can remember. But she wants her sister to have a happy ending. Besides, Willow has other things to focus on - namely, nabbing the job as youth pastor for her small-town church. Best thing for her to do is to purge Sam from her heart. first book of Montana rescue I've read . very good . it was exciting and liked the inspiration. 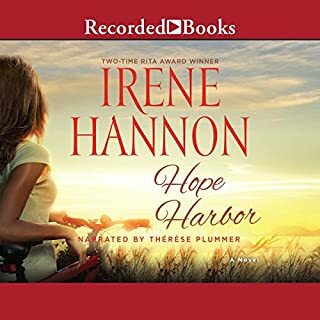 I listen to a lot of books, but this one I just could not finish. There are way to many characters and it gets quite confusing and everyone is somehow connected. I am at a complete loss. This is definitely not an easy listen. I am sorry, I usually don't leave a negative review, but I just cant get the story line straight. There are to many different things happening at the same time with to many characters. I even tried to make a relationship tree to figure it out, but I give up. I loved this book and thought the narrator did a great job. I will point out, though, that people in Montana do not have southern accents. Being a close neighbor to Montana and having family there, that was a little hard to take. The plot doesn't need off key singing, it does just fine without it. Can someone please clean it up??? The story overall was good, but the dragging on of the romance plot was boring and took away from the story. They could have done the same relationships without all the blah. In addition, the narrator singing is just awful! Seriously? Same tune, same voice, same melody for every song (this especially include the book before). Too. Much! You’re ruining what could have been an excellent book with the plot line it had. What did you love best about Rescue Me? I loved the continuing development of these characters! I especially loved that Sam finally recognized his love for Willow. 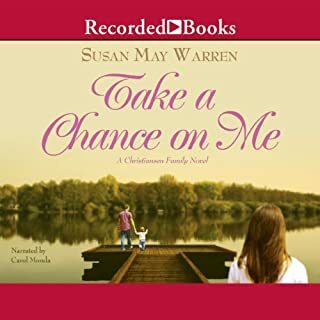 I really love Susan May Warren's books and the fact that her stories are so detailed and well developed. No question about it, I loved that Willow was willing to go to any lengths to save the teens. I was very impressed with Sam's & Quinn's heroic efforts to get help for Willow & the teens. I have to include Jess & Pete's encounter with the bear! Talk about drama! Kept me on the edge of my seat! Would you listen to another book narrated by Cynthia Farrell? No. 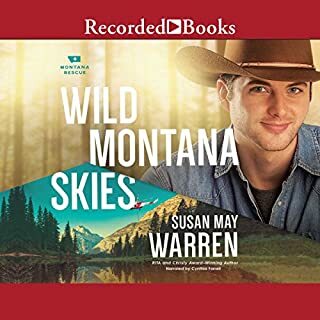 I have this Audible &amp; the first in this series, &quot;Wild Montana Skies,&quot; also performed by this narrator. 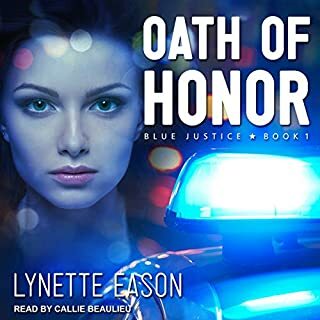 While I think this narrator has the ability to narrate books, I feel she does an injustice to this series. These books are action/energy stories. This narrator is just too stoic/laid back/lacking in energy for these books, I feel. If she just put more energy/emotion into her reading, I think she would do fine. But, I will not buy another Audible done by her at this point. Sorry. That's my opinion. I did listen without turning the Audible off. Later, I listened via another Kindle voice reader and, although, it was somewhat halting, I felt it gave a better read. 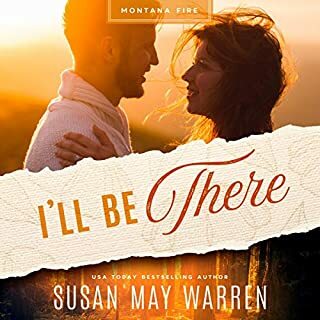 I have almost all of Susan May Warren's books &amp; love most of them! I have Audibles for many of them also and love those Audibles. I have read/listened to them over and over. I love that these books are based on Christian values without being preachy. This was an incredible book. It had moments that were so tense and alive with suspense I was on the edge of my seat. It is filled with adventure, love, relationship, mystery and a direct path straight to Jesus. It lead you home to the Lord with real issues faced by the characters and a direction to grow while working through their choices. Thanks for your heart on paper Susan May Warren. I enjoyed this book tremendously!! Finally! Another great Christian Suspense author to enjoy! This is the second book by this author that I have read and I thoroughly enjoyed them both. I found that the characters were relatable and the storyline was believable. Perfect dose of suspense. I highly recommend this book!